Federal agencies in Maine have collaborated on a programmatic Endangered Species Act section 7 consultation that will facilitate recovery of the endangered Atlantic salmon and promote healthy stream ecosystems. 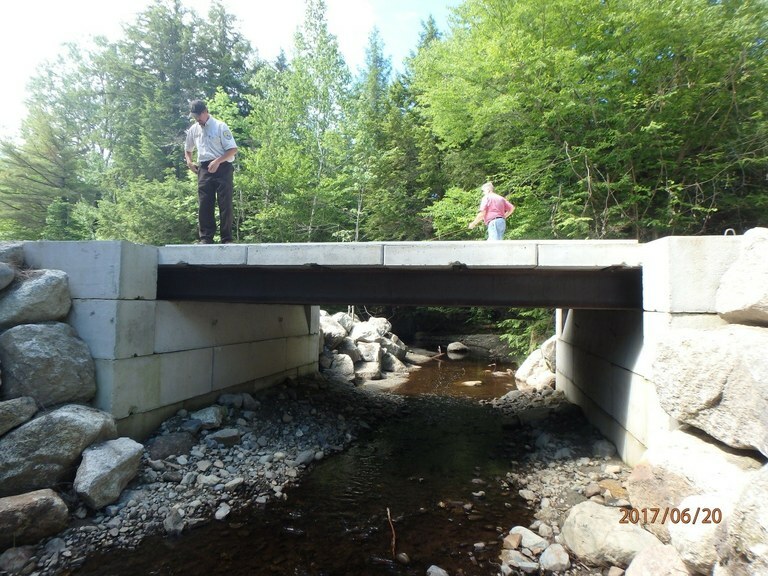 Poorly designed stream crossings have long been recognized as a problem for Atlantic salmon and other native aquatic organisms in Maine. While progress has certainly been made to address this issue on a variety of fronts, including outreach and education, more work remains to be done. Visit the Project information here! 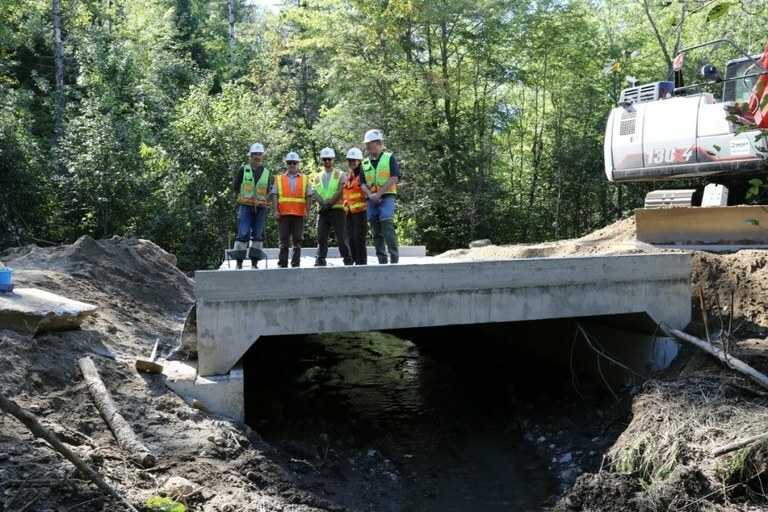 Recognizing the value of both streamlining Federal regulatory processes and promoting the construction of better stream crossings in Maine, the Corps of Engineers, the Federal Emergency Management Agency, and the U.S. Fish and Wildlife Service came together in late 2015 to explore options. With assistance from the U.S. Forest Service and other partners, including The Nature Conservancy, the Federal agency team developed a programmatic section 7 consultation for stream crossing projects that are designed using the U.S. Forest Service’s Stream Simulation approach. When such projects involve a Federal “action”, like a permit or funding, the Endangered Species Act requires the Federal agency to consider effects to federally listed species, like the Atlantic salmon, and critical habitat through a consultation process with either the U.S. Fish and Wildlife Service or the National Marine Fisheries Service. The Federal team effort culminated in the completion of a programmatic section 7 consultation and biological opinion in September 2017. This streamlined process will be available for stream crossing projects that may affect Atlantic salmon or its designated critical habitat, that meet the program’s design and construction standards, and that involve at least one of the signatory Federal agencies. For example, a town project to replace an existing culvert that needs a Clean Water Act permit from the Corps of Engineers can use this process to expedite receipt of their Federal permit. The programmatic consultation document, Project Notification Form and Instructions, Sample Plan Set, and Sample Supplemental Documents are available here. To learn more about this program, please contact one of the Federal action agency staff listed in the Instructions for the Project Notification Form. Jed Wright, the former Project Leader at the Gulf of Maine Coastal Program, U.S. Fish and Wildlife Service, was instrumental in this accomplishment. His technical expertise in Stream Simulation design, wide-reaching partnerships, and never-ending enthusiasm were invaluable in seeing this effort through to completion. Jed’s conservation legacy in Maine will live on each time a stream crossing project is completed under this program.